I was meditating a bit a few evenings ago on the fights of butterflies. See, I’d seen an image on Tumblr of two male Monarch butterflies scrapping over territory, and the caption said that they could get quite aggressive with each other. In fact, there’s a good chance many of you out there have seen butterflies engaged in battle, fluttering at each other in midair and even clutching and pushing at times. We’re inclined to see their struggle as “pretty”, and we may even mistake it as two butterflies happily dancing together. Now think of two male elk battling it out over a patch of territory. We usually focus on the immense power in their bodies as they tussle, the sharp tines of branching antlers and the muscles in straining haunches. In fact, it is their physical strength that is one of the elk’s best-known traits. Yet who is to say the elk is more fierce than the butterfly just because the insect is smaller and more delicate? We’re biased because of our size. If we happen upon a grizzly bear in the wilderness, we know we’re in immediate danger and we take action to save ourselves; the bear is seen as a dangerous animal. But if we meet a spider in the woods, at most we scream and squash it, even if the actual threat to us is miniscule or nonexistent. For the most part, though, most people don’t avoid the woods just because there are spiders prowling about, and other than phobias we don’t have much reason to fear for our lives. However, in its own environment, the spider is a formidable predator. Ask a fly or a grasshopper or a beetle what it thinks of spiders, and the feeling would likely be similar to our feelings on lions, tigers, and bears. Ask a ladybug about the risk of raindrops, and it would probably be more concerned about the watery missiles than we are. On the other hand, while a drop from a three story building would be very bad for a human, an ant might get blown about by winds on its way down but would probably survive since it’s light enough to not reach a dangerous velocity. These are all things that have been becoming more apparent to me over the years as I’ve continued my totemic work. We often miss some very important messages and opinions from some totems because of our human biases. During my meditation I checked in with several animal totems often seen as “gentle” or “beautiful”, to include European Rabbit (of Watership Down fame), Whitetail Deer (Disney’s version of Bambi), and the dragonfly totem Banded pennant. I talked to them about their feelings on being considered “safer” totems to work with, and to a one they disagreed. European Rabbit and Whitetail Deer both wanted me to know how fiercely they protect their young and territories, and how fiercely the males fight, and how both rabbits and deer have been known to injure or even kill their predators in self-defense; Whitetail Deer further reminded me that deer have been known to eat mice and baby birds out of the nest. Banded Pennant didn’t see itself as a “flying jewel”, but as a keenly-honed aerial predator, not at all to be trifled with. And others I spoke to–Monarch Butterfly, Galapagos Tortoise, European hedgehog, and others–all confirmed, too, that while they had their gentle traits, they were far from being helpless or sweet all the time. If you think about it, all living beings are in a competition for resources and working each day to stay alive. Just because we’ve found some ways to give some humans easier access to these resources doesn’t mean we’re free of the cycles of nature. If anything, it’s crucial for us to remember that every species is, in the end, out for itself, and even symbiotic relationships are not formed purely altruistically. It doesn’t mean we should be selfish and cruel to each other, but it is a reminder that we are learning from beings who are not characters in a Disney movie, nor are they the savage beasts of some recent sensationalistic Discovery Channel “nature” show. They are, in the words of Henry Beston, “other nations, caught with ourselves in the net of life and time, fellow prisoners of the splendor and travail of the earth.”* And it behooves all of us for us humans to remember that the totems are representatives of their species, to be learned about and learned from on their own terms, not just whatever suits us best. * Yes, I realize I just used this same quote in my last post. It’s one that’s been appropriate to a lot of the animal totem work I’ve been doing lately. “Dusky Arion” sounds like a pretty name, right? Maybe even the moniker of a character in a sci-fi or fantasy story, or a particularly inventive stripper. In actuality, the dusky arion is neither an imaginary being nor a sensual dancer–it is a slug, and here in the U.S. an invasive one at that. 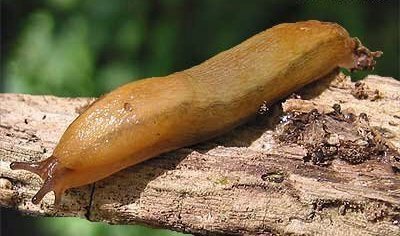 I know Slug totems in general are among the “undesirables”, the ones that people fear getting in their meditations and card readings and whatnot because they aren’t cool or physically imposing. But I’m rather pleased to count Dusky Arion as one of the totems I’ve been privileged to work with. It’s been a mutually beneficial experience, and I’ve been learning quite a bit from it as well as being able to improve my relationship with its physical counterparts. I admit I’ve learned to be biased against slugs as I’ve gotten older. Growing up, I watched my mom fight against the leopard slugs (also invasive here) in her garden, though at the time I found them to be very cool-looking critters with their vivid spotted pattern and prominent keel (that hump over the “shoulders”). It wasn’t until I began gardening a few years ago that slugs began to invite my ire as they treated my own plants as an all-night salad buffet. I would painstakingly pick them off the stems and leaves of my vegetables and place them in the next field over, and then leave beer traps for the stragglers who remained. Even now I have a number of young turnips whose leaves resemble green lace doilies, and I’ve harvested radishes with telltale lines of white in the red skin from where the tops poked out enough for the slugs to get at them. Now, I do understand that slugs have to eat, too, and critters eating the veggies are a normal part of organic gardening. Still, it’s enough to make me want to stomp my feet, whine, and plead in vain for the slugs to only eat weeds. So there’s a certain irony in the fact that this year Dusky Arion (and to a lesser degree other slug totems) has been trying to make friends with me. We’ve been having words over the slugs in the gardens for a while now, but for several months it’s been making extra effort to get my attention outside of the garden. For example, at the spring equinox I found myself the owner of a handmade stuffed toy slug from a vendor at a pagan event I attended. Okay, so it was cute and would be a nice addition to the stuffed animals I keep for counseling clients to hold or hug in session. But then I started looking at the slugs on my container garden, and realizing they were pretty neat little critters, moving with a slow grace along the edges of pots and up the fence around the porch, even upside-down! This tapped into my childhood fascination with all creatures, regardless of whether they were seen as “pests” or not. It’s a timely rediscovery, given that this year’s theme seems to have been reclaiming the connection to nonhuman nature that I forged so early in life. Dusky Arion’s been helping me pick out my blind spots, showing me where I’ve been still attaching value judgments to animals and other beings based on human biases, instead of simply letting them be themselves. It’s easy to let human needs and desires become the first priority in all things; while it’s understandable to put ourselves first in some situations, we’ve so often erred on the side of “yay, us!” that we’ve put other species in great peril for no real need. Nowhere has that been more personal for me than my gardens, where the slugs are not merely fellow beings trying to make a living, but have been painted as enemies, thieves of my food to be tossed into the next yard or drowned in skunky cheap beer. My childhood self would have been appalled. So in working with Dusky Arion, I’ve been rediscovering my younger, more neutral stance; as Henry Beston said of nonhuman animals, “they are other nations, caught with ourselves in the net of life and time, fellow prisoners of the splendor and travail of the earth.” It doesn’t mean I won’t defend my garden; slugs understand as much as anyone the need to survive. But there’s been more picking and careful removing, and less beer-drowning. And I’ve been greeting the slugs, too, as they move through the garden, appreciating a little encounter with little wildlife. I like their slender eyestalks that gently move about to take in the world and retract at the first sign of danger–a good lesson to protect what is most crucial! I’ve added a bronze slug ring to my jewelry box, and my partner gifted me with a couple of rubber stick-on toy slugs that are now part of the bathroom mirror decor in our apartment (and a reminder that all nature is pretty in its own way). Who knows? Maybe I’ll start (carefully) turning over rocks and logsa again like I did when I was a kid, looking to see what other creepy-crawlies I can discover. Note: This is my August offering for the Animist Blog Carnival, with “Birds” as the theme. I moved to Portland, OR in the summer of 2007. I didn’t recognize it at the time, but this move would be the trigger that set off an entire series of major shifts in my life. At the time, I’d only been in the Pacific Northwest for a year, and I was already disillusioned. I’d wanted to move up here because I loved the culture I’d seen in Seattle, and I loved the wilderness areas I’d visited, and I had the opportunity to get help from family to move anywhere I wanted. Unfortunately, it had been a decade since I’d last been to Seattle, and the shiny sparklies surrounding the city when I’d been there as a teenager had worn off, leaving the stark reality of being an adult trying to find work in a city with a high cost of living and an inadequate bus system. Furthermore, what I had intended to be a solo move, an adventure for one, ended up turning into a hasty engagement preceding a stressful cross-country trek with someone I’d committed to too quickly. So after a year and change in Seattle, I was persuaded by friends to move down to Portland. So I dragged an unhappy and unhealthy marriage, an overweight cat, and a truckload of stuff and baggage down I-5 to Oregon. I have a tendency in general to romanticize any place I move to, and demonize the place I’m escaping, but I did have to admit that the old Craftsman house we moved into was a far sight better than the tiny little house we’d scraped by in up north. The neighborhood was a lot more walkable, the transit system far improved, and we had three great friends living right downstairs from us. It must have been a day or two after we moved in that I met my first scrub jay. A few of these bold-spirited, blue and gray birds lived in the trees around my home, and I heard their raucous “VWEET! VWEEEEEET!” calls in the warm summer sunlight. The totem Scrub Jay then came to me and invited me to explore my neighborhood more, and so I’d walk around the area on foot, seeing what was in the area–a shop that sold handmade drums and supplies, a vintage clothing shop, a second-run independent movie theater, and more. That exploration extended further into the area, to parks and the downtown area and other neighborhoods with walkable streets and lovely houses, large and small. Soon afterwards, I got my introduction to the Columbia River Gorge. My husband at the time and I headed out to Wahkeena Falls and did some hiking. I immediately fell in love with the cliffs on the Oregon side and their splashing waterfalls. The first wild creature I met there was a Steller’s jay, similar to the blue jays back east, but all of a deep, dark blue with a black head and crest. The staccato call was different from that of their cousins, though the boldness was familiar to me. The totem Steller’s Jay called to me and dared me to climb the switchback trail higher and higher to new places. So it was that Scrub Jay and Steller’s Jay invited me into their homes–the urban streets and colors of Portland, and the forests of the Gorge and Cascade range. Their kindness and the reception of the Land in general prompted me to find out more and more about this bioregion, from the basalt cliffs of the Gorge and flood-carved Willamette Valley, to the rain shadow cast by the Cascades that birthed the eastern desert, and all the flora and fauna and fungi that lived in this place. I grew to know Mt. Hood and the Columbia River, Johnson Creek and Mt. Tabor, and all sorts of other wonderful beings. I found a place in the human community, too. Scrub Jay coaxed me out of my shell; I finally found the courage to get a divorce, which left me the freedom to further explore healthier relationships with others, including the beautiful and compassionate man that I live with today. 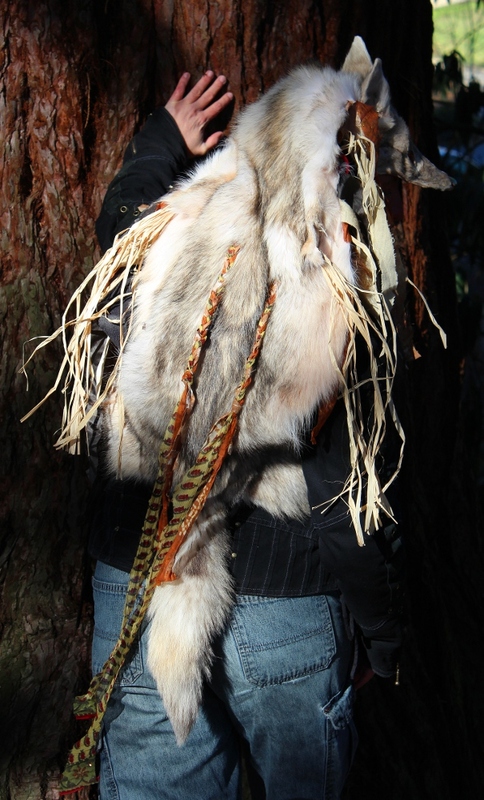 The Land invited me to explore and create a shamanic path for myself–Therioshamanism–which led me to becoming a mental health counselor, as well as a working artist and a more dedicated writer and author. I connected with people about the local environment, and got involved in volunteering efforts for cleaning up litter, planting native species, and the like. Through these efforts my spiritual path became less and less about formal rituals and journeying, and more about creating direct relationships with the beings–physical and spiritual–of the Land that has adopted me. In this, I found the freedom I’d lost since my childhood. I finally felt like myself again, after decades of loss and dead ends. In short, the relationships I have forged with the beings and places in this area opened me up in ways I’ve never experienced before, and I can truly say that I have found the home I’ve been seeking for many years. And they still remind me of my place here; I have returned to the neighborhood where I first met the scrub jays, and there’s a pair nesting where I work, too. And it seems like almost every time I go into the forests of the Gorge or around mt. Hood, at least one Steller’s jay makes an appearance. Through their children, my first two bioregional totems tell me they’re glad I’m here, and I have to agree that I am, too. 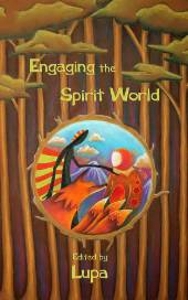 “Engaging the Spirit World: Shamanism, Totemism, and Other Animistic Practices” anthology now available! However, not long afterward I ended up starting graduate school, which ate a big chunk of my time. Then I got divorced, which further complicated things. And then I got done with grad school and instead of a nice 40 hour a week day job as a counselor, I found myself being fully self-employed, which took up about 70 hours a week on average. The anthology, unfortunately, kept getting put on the back burner in favor of projects that were more likely to contribute to paying the bills (as an editor I’d only get paid in a small number of royalties, and while I love IP/MB’s content, they’re a small press and sales are quite modest). So practicality won out, and it was only recently (and with help from IP/MB on the last chunk of layout) that Engaging the Spirit World was finally brought into completion. Personally, I feel it’s worth the wait. There are some fantastic essayists in there, writing on all sorts of neat approaches to shamanism, totemism, and other animistic topics. 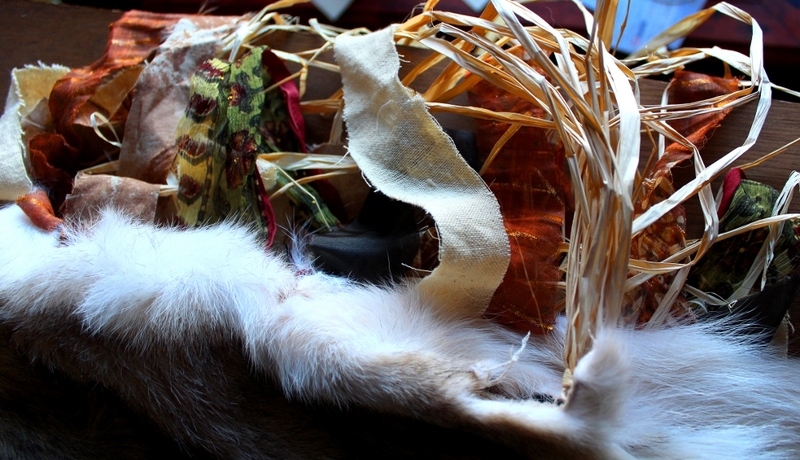 Some of them are leaning more toward traditional topics, while others go in some really unusual directions–from Shinto to neurotransmitter spirit guides, sacred body work and ecopsychology, there’s a wonderful variety of thoughts and essays in the wide world of animism! Want to find out more? Head on over here to my website where you can find a table of contents, ordering info, and more! 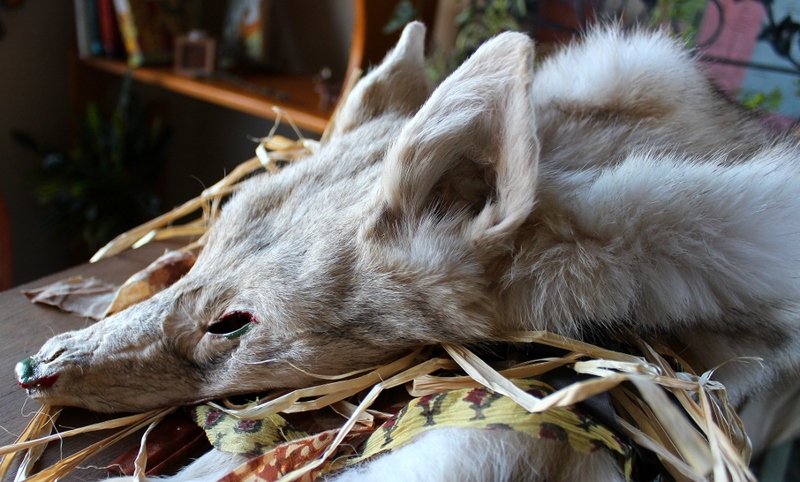 As many folks who have worked with animal and other totems know, not all totems are cuddly and friendly. Sometimes they’re what are popularly known as “shadow” totems, who challenge us through embodying some of our less pleasant aspects. Others represent animals or other living beings that we don’t care for, or maybe even have adverse relationships with. This latter description fits my relationship with the totem of black mold pretty well. This is a common name for Stachybotrys chartarum, a fungus that commonly resides in drywall in houses and whose spores can cause illness (sometimes fatal) to a home’s inhabitants. Black mold has also been implicated in sick building syndrome, causing the same sort of havoc at work as well as at home. Here in the Pacific Northwest (sometimes referred to as the Pacific Northwet), black mold is a particular concern. Because the climate is so humid, with lots of rain year-round, the fungus has ample opportunity to get a foothold, especially in many of the older buildings in the city. This can be especially problematic for renters; while some companies and landlords are very prompt about dealing with any mold issues, others are more lax. This disproportionately affects poorer people, who may rent from less careful companies or landlords, or who may own a home but not have the funds to deal with a more widespread mold infestation. Thankfully not my home, but a stark reminder of how widespread mold can become. From http://bit.ly/194NYJ9. I’ve been fortunate in that on the rare occasion mold has shown up in a place I’ve rented, the company I rented from was quick to get someone out to deal with it. Still, it’s been a learning experience. Until I moved to Portland, I’d been fortunate enough to never have to deal with this problem. Since I’ve been here, though, I’ve had my own experiences, and I’ve heard horror stories from others, up to and including people having to move to a new place due to severe mold and inattentive landlords. You’d think this would make Black Mold a pretty unpopular totem, and to an extent you’d be right. It’s easier for many people to work with the totems of animals that can kill us, but which we feel still have redeeming qualities, like tigers, hippos, or venomous snakes. But what is there to like about Black Mold and its physical counterparts? For one thing, they’re one of many species that have managed to capitalize on human success. While black mold can be found in soil, it’s managed to specialize in colonizing gypsum drywall, a common building material. We may not like this particular innovation, but I feel any species that manages to increase its population due to our influence, rather than becoming endangered or extinct, is at least noteworthy for its adaptability. Not that I feel endangered or extinct species aren’t good enough, or strong enough, or that their totems are weaker. Adaptability in the face of widespread, often destructive, changes is not the only positive trait a species can exhibit, and the spread of invasive or otherwise harmful species isn’t something to ignore. The other reason I’ve tried working with Black Mold is because it’s taught me to be more adaptable myself. The first black mold colony I encountered got to sit around and grow for a few months because I didn’t recognize what it was. I had to learn that as soon as I saw that discoloration on the ceiling or wall, something needed to be done about it. Black Mold reminded me that procrastination can lead to being overwhelmed by a problem. It showed me that taking care of a living space isn’t just about picking up the laundry and cleaning the dishes. It’s also about being mindful of the home’s physical microclimate. Black mold has always started in the bathrooms of the places I’ve lived, and always in the ones that were insufficiently ventilated, either with no fan, or no windows. The things we bring into a home–physical and otherwise–can have negative effects on that living space if we aren’t careful. And if we don’t keep what’s already in the home in balance, again problems can arise. And just as black mold has been shaped by our effects on the planet, so it reminds me that we are still affected by the other beings we share that planet with. We sometimes fool ourselves into thinking we’ve defeated all the problems nature has to throw at us–disease, inadequate shelter, starvation, and so forth. And yet, even in the most comfortable home, Black Mold and its children can creep in, shattering that illusion. (Never mind that in many less comfortable homes, disease, exposure and starvation are very real problems.) Black Mold helps to keep me humble, and reminds me of the privileges I enjoy, however temporarily. Finally, Black Mold is a somber reminder of that temporary condition. We cannot continue the current rate of resource consumption that has made our lives more comfortable. Either we have to reduce our consumption, or find more sustainable ways to maintain our current standard of living. So while black mold is mainly a threat to the drywall, I also find it to be an incentive to find more eco-friendly options for food, water, shelter, and other resources. Black Mold is not my favorite totem I’ve ever worked with, fungus or otherwise. But it is a necessary one. And so (with a little tightness in my throat, imagining invisible airborne spores), I include it in my gathering of totems.